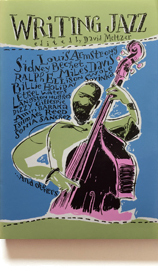 A companion volume to the critically acclaimed Reading Jazz, Writing Jazz is the first comprehensive historical anthology of writings on jazz by African-American musicians, critics, writers, and poets. Arranged historically with equal attention paid to both essay and lyric, this collection encompasses voices from the Spirituals and the Blues to Free Jazz and the Black Arts Movement. It includes selections from Louis Armstrong, Amiri Baraka, Sidney Bechet, Miles Davis, Ralph Ellison, Dizzie Gillespie, Nikki Giovanni, Billie Holiday, Son House, Langston Hughes, Furry Lewis, Albert Murray, Ishmael Reed, Sonia Sanchez, Willie “The Lion” Smith, Wole Soyinka, Ethel Waters, Booker White, Richard Wright, and others. Challenging and no doubt controversial, Writing Jazz, like its companion, is a valuable historical sourcebook and a provocative read. will be indispensible not only for jazz enthusiasts but also for anyone interested in the evolution of modern culture.